Social Media Archives - Build the Brand. Protect the Brand. As we ring in the new year, advertising trends will continue to change and progress. In 2013, online advertising is expected to be even more innovative and dominating than in past years. Mobile traffic will continue to rise. It is expected that by the end of 2013, one in three paid clicks could come from a tablet or smartphone. With this drastic increase in mobile usage, in-app advertising spend is expected to skyrocket as well. Cross-channel and cross-device advertising and measurement will explode! Where customers used to simply click on an online ad and purchase, the lines between online and offline worlds are becoming blurred as customers utilize mobile devices to conduct more product research than ever. Owned and earned media will become the rule, not the exception. Advertisers will leverage their owned media as marketing tools even more so than in years past, taking advantage of the cost efficient control that they have to reach niche audiences. In a year where word-of-mouth marketing will continue to grow, earned media will be that much more vital as the customer becomes the channel. Online advertisers are going to finally realize the true value in social media. The fact is, we no longer live in a world powered solely by direct response marketers. It is now all about building relationships with customers and gaining access to larger audiences. A new year is just going to continue to enforce the importance of utilizing social media, and even provide deeper data to support it. Online marketing will become even more targeted. Facebook has already taken the plunge moving far beyond basic demographic targeting. With custom audiences where sponsored stories or ads can be used to target a specific set of users, what’s to come next? Real-time optimization will be the norm. Advertisers have now moved beyond the click and require insight into the brand impact of their online activity alongside their click data. We are moving towards a time in which advertisers will be able to track all of their campaigns against key metrics, and utilize online dashboards to adjust creative, frequency and more to optimize campaigns in real-time. Online display formats and units will continue to evolve. With digital infographics becoming vital in telling an advertisers’ story in 2012, the new year will only further enhance the need for online marketers to utilize different online formats to more effectively deliver their messages. Newer, larger and more customizable online units will continue to be developed in 2013, offering advertisers more innovative ways to build their brands. Pictures have always been a way to capture moments in time that you and your friends can look back on. Now, with social media, the majority of those photo memories are instantly uploaded onto photo-sharing social channels such as Facebook, Instagram and Pinterest. Even your favorite brands are using photos to push products because they are easily consumed, transfer information quickly, usually require less reading and can project a great deal of information. Pictures allow users to visualize the story a brand is telling and garner more engagement than anything else on social media. Pinterest and Instagram can be extremely valuable for brands that have visual products because images catch and hold the attention of shoppers by offering much more stimulating information than text. It’s like allowing your customers an opportunity to window-shop online. On Instagram alone, more than 150 million photos have been shared and at one point, users were uploading 60 photos per second on Pinterest. That’s not all; most of those photos end up being shared on other social networks such as Facebook. Facebook holds the trophy for most uploaded images with 50 billion, cumulatively. A study by Harvard Business School estimates that 70 percent of all activities on Facebook – from “liking” and commenting to looking at friends’ content or uploading your own – revolves around photos. Facebook will rank posts higher and will serve more impressions if the post contains an image. The ability to extend the exposure of your message and increase your chances of that message reaching the target simply increases your chances of action on your message. And with the addition of Facebook’s Timeline, brands are able to make a bolder visual statement via the prominent cover photo feature and the ability to “highlight” a post, which doubles the size of the photo on your Timeline. In all, it’s safe to say that images are one of the most powerful tools in social media. Facebook may agree, as they did just purchase Instagram for $1 billion. Join us for #RRchat on Friday from 3-4 p.m. Pacific Time (or until we run out of things to say) to discuss BranchOut, Facebook’s plans for going public and more. Plus, get the inside scoop on open positions in the coolest, most creative full-service advertising agency around. Who, you ask? Why, R&R Partners of course! Check out the #RRchat questions ahead of time to come prepared for a low-key discussion on Friday. Talk to you soon! 1. Facebook targets May 17th for IPO date. Will you buy shares in Facebook? Why or why not? 2. Facebook’s app BranchOut encourages professional networking, similar to LinkedIn. Will you use your personal Facebook page to connect with professionals for job opportunities and professional networking? 3. We post open positions to two of the largest social media platforms for job searching – Twitter & LinkedIn. What social sites have you heard people using to find a job? 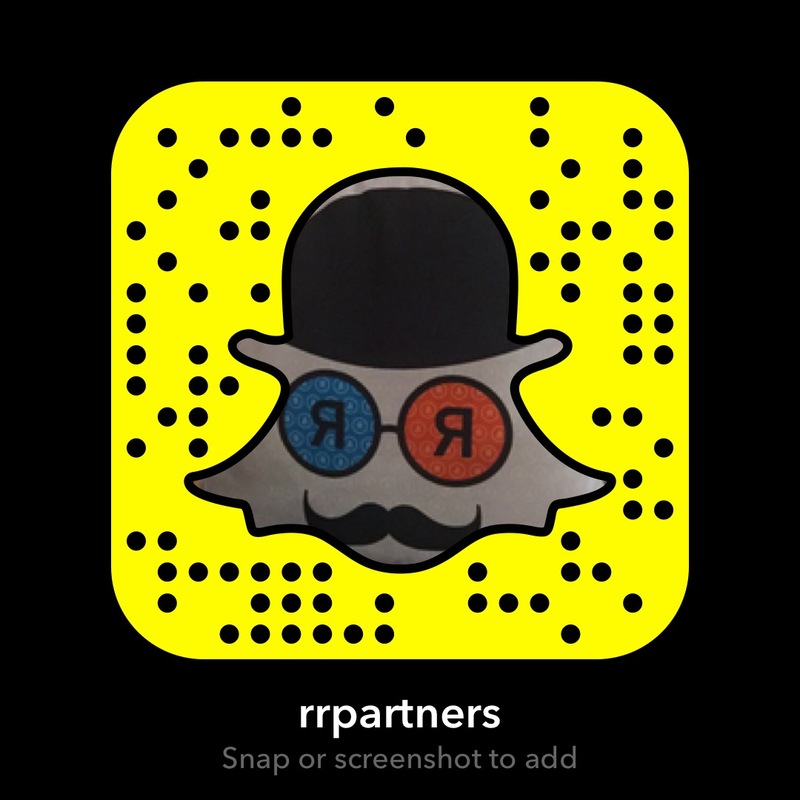 Don’t forget to follow @RRPartners, and use the hashtag #RRchat to join the conversation. See you on Friday at 3 p.m. Pacific Time! Calling all music fans! Take a short break this Friday afternoon to chat with industry professionals about how brands are using social media to promote music. Use the hashtag #RRchat on Twitter and join us on Friday from 3-4 Pacific Time to voice your opinions and comments. It’s fun! 1. The Tupac hologram “performed” @Coachella with @SnoopDogg and @DrDre. More than 23,000 people have followed @HologramTupac on Twitter. If you could bring a musician back from the dead, who would it be and why? 2. @MySpace trumps @Spotify’s collection of free music with 42 million songs. Do you think MySpace will make a comeback, trumping other major music sites? 3. @Coachella has created nine ways to follow them on Social Media. Which musician or festival do you think has the best brand presence on social and why? Follow @rrpartners and remember to use the hashtag #RRchat!